another season of camaraderie and improvement for the Cougars. Como Park Senior High School’s tennis courts on campus were full after school during the first official week of spring. For some, stepping onto any tennis court was a new experience. For others, the Como courts represent where they first tried the game as 5-year-olds, sparking an interest they still pursue. 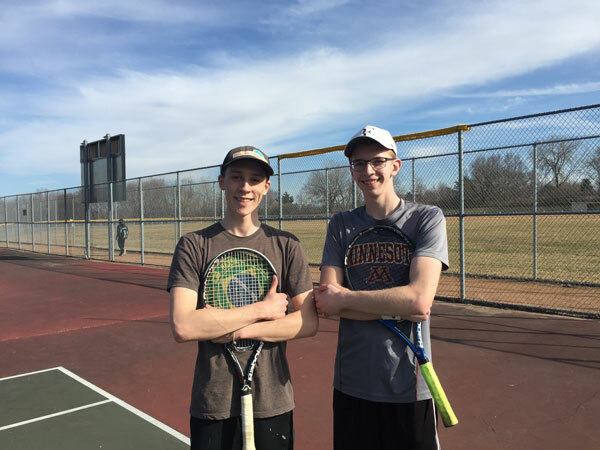 Como’s tennis team is composed of seasonal players, many of whom play multiple sports. The neighborhood courts lie buried in the winter months and the cost of tennis club membership is high. But when the snow melts and the nets are placed on the posts, the Cougars pick up their rackets and get outside. Outside on neighborhood courts underneath the summer sun is where Como’s varsity leaders first learned the game. They are products of St. Paul Urban Tennis (SPUT), a well-established institution in St. Paul that has promoted and organized opportunities for youth to play the game and practice sportsmanship since 1991. Como sophomores Antero Sivula and Will Larson are returning varsity sophomores, and next-door neighbors. When they were 5, their parents started bringing them to the Como Park High School courts for Urban Tennis every morning. They’ve been playing on their neighborhood high school’s courts, six short blocks from their homes, ever since. The story is similar for the Cougars’ varsity co-captains. Senior captain Eli Freburg first played Urban Tennis at the Hamline courts, and continued summer play at Como as he progressed. Junior captain Gabe Reynolds played Urban Tennis at Langford Park and later at College Park. Both said that SPUT planted the seed for developing skills in a supportive and fun environment. Como’s varsity tennis coach, Ron Filstrup, appreciates what Urban Tennis does. He strives to build on the foundation and sees each tennis season at Como Park Senior High School as an opportunity for growth. “We’re out here to teach kids how to take something and learn how to be successful in it. It’s more for life. Tennis is a way to learn the lessons you need about life, fast,” Filstrup said. Filstrup has developed his coaching philosophy over several decades. Before taking the Como boys’ tennis position in 2010, he spent 25 years coaching boys’ tennis at Woodbury High School. An opening week practice in late March concluded with fitness training and footwork on the Como Park Senior High School tennis courts. Filstrup acknowledges that the culture of tennis in the suburbs can be different and that specialized year-round players were common at his former school. But he finds the work ethic of the Como team to be tremendous and the attitude extremely positive. “The kids here are great. They do what they’re supposed to do. They listen, they make corrections, and they make greater strides. 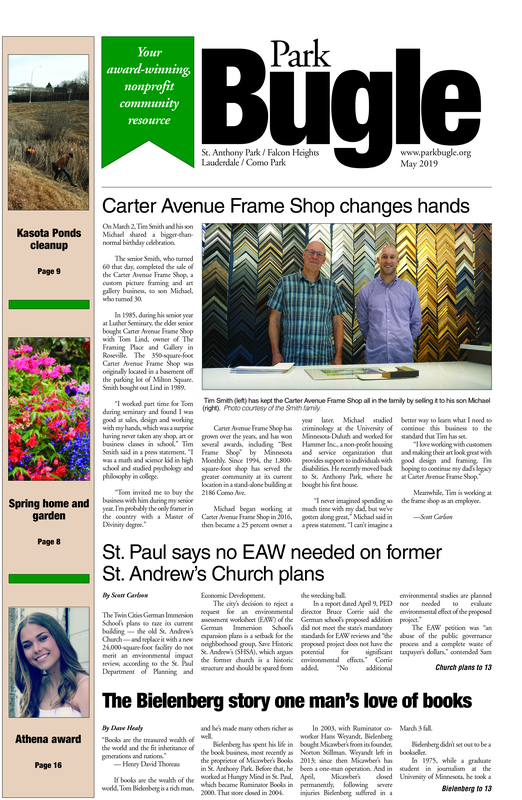 You see a huge improvement,” Filstrup said. The opportunity for big gains is in part because of the seasonal play, he said. Year-round players have refined technique with more consistent strokes. When you don’t play for six or eight months, you start each spring with a less-developed skill set. Then there are the beginners who join the program without knowledge of the rules and without a racket. All are welcome. All will learn. 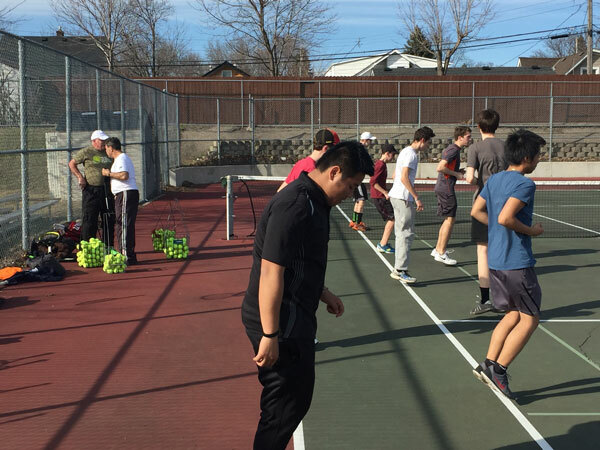 Junior varsity coach Jon Tretsven and volunteer Richard Lebefvre help with basic skills, teach scoring and etiquette, and foster an appreciation for what can become a lifelong activity. The team takes pride in its inclusiveness and the support for each teammate, regardless of their age or skill level. The captains describe teammates as wonderful people, on and off the court. “We have a really welcoming environment,” Reynolds said. “The camaraderie is the most important thing about playing tennis for Como,” Freburg added. All players on a tennis team will compete against each other to establish their tennis ladder or rankings, and transitioning from opponent to supportive teammate can be tricky. But for these Cougar athletes, the omnipresent camaraderie ultimately wins, unifying the team and instilling confidence when they take on their competitors. As for the 2017 Cougars, there are eight returning varsity letter winners this season. They will be the core of the 10-person lineup that high school tennis requires, four singles players and three doubles teams. Riley Eddins, another Urban Tennis player, will play No. 1 singles. Reynolds and Freburg are evenly matched and will play No. 2 and No. 3 singles, depending on their most recent results. No. 4 singles is up for grabs and the doubles teams are to be determined based on chemistry and inner squad sessions. But expect that Larson and Sivula will fill in where needed, along with three other varsity returners: Eli Pattison, Lah Htoo and Steven Boler. The Cougars’ overall standing in the St. Paul City Conference has consistently been in the top half. There was one conference championship in 2006. Como sent a doubles team to state in 2013, and Nate Parsons qualified for state as a singles player in 2014 and 2015. He now plays for Luther College in Decorah, Iowa. But the team everyone chases in the city is Harding. They’ve won eight of the last nine conference crowns. The Cougars look forward to the Harding match to see how they stack up against the best. 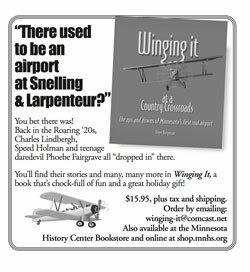 “They’re also a really nice, polite team,” Freburg said. Como finished third in the conference last season behind Harding and Highland. They tallied victories over Central, Washington, Johnson and Humboldt. If the Cougars can pick up where they left off last season and make the great strides that Coach Filstrup has witnessed before, the team might make a run at second place. But more important than results, all Como tennis players can improve their skills and develop a growth mindset. They’ve already developed an appreciation for tennis by playing it on their urban courts. They’ve had fun, but also learned a lot about themselves in the process. As Coach Filstrup reminds them, the game is a great teacher of life.